As yet another exercise in Rules of Thumb (earlier US guess here), following are some guesses as to the number of consumer camera drones sold. This particular doc will look at unit numbers as opposed to dollars. SOLD units – not production, but actual retail sales to the consumer. DJI has released various estimates for their sales in 2014 and 2015 which provide a relatively solid number to start with. Parrot has also hinted at revenue, although this could include large numbers of toy models. Amazon, the largest seller of consumer drones, has various way to determine both sales range and relative numbers – by comparing with other drones and, more importantly, other products (GoPro cameras, etc.) where the sales ranges are well established. October , 2016 – An accounting of the complete failure of 3D Robotics is gone over in detail at this new Forbes article. Read our older articles below and then the Forbes piece if you want most of the story. Recent events and announcements seem to indicate that 3D Robotics (3DR) dream of becoming a multi-billion dollar leader in the drone industry has failed. This post will lay out the timelines and events of 3DR history as well as the opinions of the author and others as to what happened – and why. Hopefully it will provide a cautionary tale to those, like Icarus, whose attempt to fly too close to the heat of the sun resulted in a similar crash. 3DR was a garage operation started by a Mexican engineering student – who then partnered with Chris Anderson, an editor at Wired magazine. In 2012, Chris left Wired to work full time on the new drone operation. UPDATE: The Phantom 4 has been introduced starting at $1399. It has a number of improvements over the Phantom 3 line. Here is the DJI order page which contains specs and more. Update 2: DJI has just announced sale pricing on the Osmo (handheld gimbal/cam) and Inspire product lines. I was tempted and bought an Osmo ($569 now- down from $649) which I will review. The Inspire is still expensive – just less so! Check out the sale prices at this link. NOTE: The Phantom 4 is not available yet on Amazon and/or at dealers due to limited quantities and the introductory pricing (according to DJI). DJI claims shipments start in 2 weeks – how quickly you will receive yours depends on when you order. The Phantom 4 is a refined Phantom – the next step up from the Phantom 3 Professional. Here is a listing of the refinements and their relative importance to most mid-level hobbyist pilots. 1. Longer Flight Time (28 minutes) – this is not important to most pilots since most pictures and video can easily be taken in the 15-20+ minutes that other models fly. 2. Better Lens on the Camera – this is an improvement on the Phantom 3 Pro camera, however it would not be of great importance to most photographers. 3. Heavier duty construction of the shell and camera/gimbal – this is a nice upgrade for those who use their Phantoms often (travel with them, etc.). 4. Obstacle Avoidance in forward flight – this is a truly new and revolutionary feature that allows the Phantom to stop immediately if it senses an obstacle (building, trees, etc.) in front of it. Whether or not this is of use to you depends on your flying grounds and the care you take as a pilot. As an example, I am a conservative pilot so have never flown my Phantoms into any obstacle in the past 3 years. But newer pilots who desire the utmost in “insurance” may enjoy this feature. The Phantom 3 is NOT being replaced or discontinued. Rather the new Phantom 4 is an upper-end evolution of the Phantom line. The majority of newer buyers should still consider the P3 line – it is more than good enough and costs much less. The Phantom 4 is tailored more for the “prosumer” as well as those who have extra money to spend and want the top of the line. If your garage contains a BMW or Lexus, you may want to take a look at the P4. If it has a Camry, Accord or Passat you’ll be a P3 buyer. This is our article detailing the four Phantom 3 models – and the difference between each: LINK. Our ongoing thread on the Phantom 4 Launch – with lots of pics, videos and commentary is at this link. Which Phantom should you Buy? With a total of 5 models now available, a new buyer might get confused. Let me instead suggest which model NOT to buy and then list the others with a basic recomendation. Fear of Flying 2016 – The Last Word on Drone Flyaways! 2016 – The Last Word on Drone Flyaways! It’s the term that won’t go away and seems to instill fear into many budding Pilots – the dreaded “Flyaway”. As with many fears, there is a grain of truth to the concerns-but statistically the fear may be unfounded. 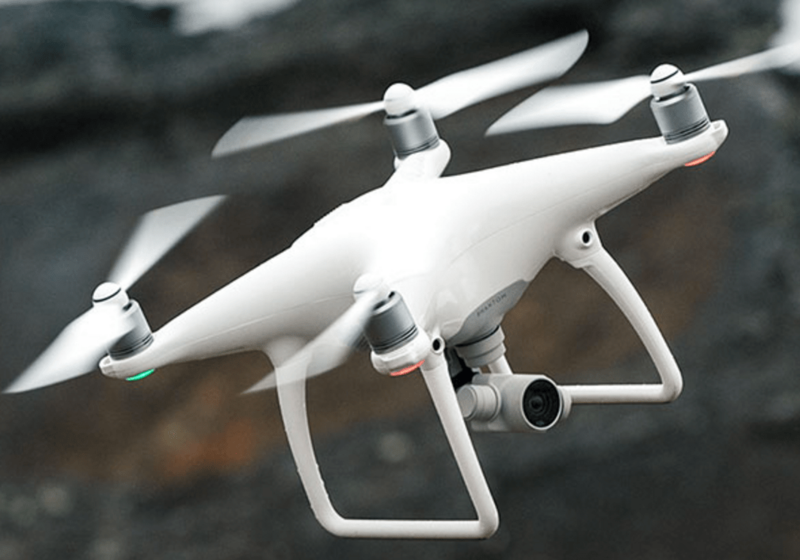 The term is used mostly in relation to GPS assisted quadcopters – those selling in large quantities such as the DJI Phantoms, Blades, Yuneecs, etc. Fear of flying on commercial airlines in the developed world – this fear is unfounded as the odds of a crash are about 1 in 4 MILLION – the odds of you being killed are even smaller. On the other hand, there is a 1 in 500 chance of your death being in a car accident. Do you drive? Or ride in a car? Terrorism – the chances of your being killed or injured by terrorism are very low. You are 300X more likely to die from a workplace accident, 5000X more likely to die from a medical error and 2000X more likely to die at your own hand (suicide). As we prepare for a visit to the Consumer Electronic Show (CES, Las Vegas), it might be instructional to look back at the top consumer drone stories of 2015. Here, in no particular order, are the subjects we think have shaped – and are continuing to shape – this industry. 1. Regulation – and lack of it – the FAA, local governments and the media have all been caught off guard by the meteoric rise in the sales, use and capabilities of unmanned aircraft (drones). The scenario played out in an unfortunate manner as many new pilots exercised a lack of disgression on how and where to fly – causing a firestorm of complaints and concerns. As a result the government and industry are moving quickly – perhaps TOO quickly – to assure the safety of the public and the skies. We believe this will moderate at some time in the future as drone programming and education puts a dent in the PDIs (Public Displays of Idiocy), however the result for now is an unstable market where potential buyers and pilots are unsure of how the future will play out. This could speed the “dot-drone” bust that we and others are predicting…such a bust can end up being a good thing as the market will be cleaned from some of the snake oil and false promises that have marked many of the drone startup efforts. Is 3D Robotics Falling from the Sky? Editorial Opinion: 2016 will be the year of the “dot drone” bust as many of the dreamers and schemers succumb to the Reality of Gravity. We’ve already seen the complete failure of Zano Drone, the largest Kickstarter funded drone project (3 million dollars). Other multi-million dollar efforts are also having trouble delivering – Plexi-Drone is another overhyped company unlikely to deliver even a single drone. Lilly (camera drone) just announced a delay until at least the middle of 2016. The GoPro drone (named Karma) may very well be too little and too late as the market has shaved off 75% of the value of GoPro (from 90 per share to as low as 16). While some of these are marketing hype, others are simply untrue – as one example, the Solo with camera and gimbal is $1600+ so it’s not a superhuman 1K drone. Others seem to be optimistic predictions which have not come to pass. A former hobbyist supplier to DIY drone builders, 3DR decided to shoot for the moon and gathered over 100 million dollars in Venture Capital with the idea of becoming #1 or #2 (after industry leader DJI) in the consumer drone space. Now – a few years after accepting their first Venture Capital, it appears the would-be David may have been slayed by Goliath – or, more accurately, by falling on their own sword. The following is a peek into various metrics and indications regarding the consumer drone industry. Specifically, we attempt to show a general slowdown in the consumer drone growth curve and more specifically indications that a “dot-drone” bust is already underway and may accelerate in 2016. We will focus on 3D Robotics which we believe to be indicative of “boom-bust” part of the cycle due to their having received the largest amount of Venture Capital of any consumer drone startup. Some mention will also be made of DJI and others – in order to properly frame the discussion. Firstly, none of this is either new – nor a surprise. Frank Wang, the founder of DJI (with 80% of the camera/drone mid-range market) clearly stated that this was going to become a low priced and low-margin business AND that he (DJI) was likely to squash any competitors. Not much wiggle room in there! Again, that leaves only 10% for the combined other players in the drone biz! Mr. Wang seems to have a decent grasp of business and the markets he serves. At the same time, even he may be wrong about DJI’s 2015 growth – which was slated to have the company pass 1 billion dollars in annual sales (2X 2014 sales). Although this is certainly possible, our take is that negative press on drones and other factors will have DJI falling short of that number – 800 million in our projections.